Upcoming YuuZoo AGM: 7 July. Know more about $Yuuzoo(AFC.SI)’s Business Model before the AGM! YuuZoo’s upcoming AGM is on 7 July. Scouring through online forums, I realised that there are many people that express that they do not understand how YuuZoo operates. Here is a quick run-down of YuuZoo’s business model, as well as a few of the biggest issues plaguing YuuZoo. 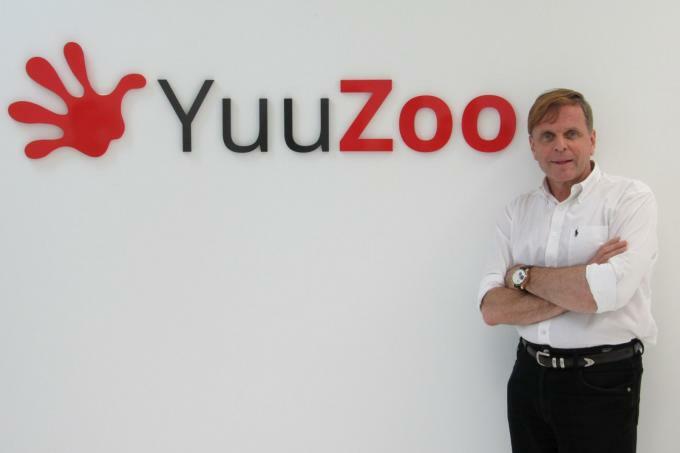 YuuZoo Corporation Limited, a social media company, engages in social networking, e- commerce, payments, and gaming businesses in Singapore and internationally. The company primarily operates through four segments. The network development segment is principally involved in building mobile-optimised social e-commerce networks for businesses and consumers. The e-commerce segment provides a range of services for online mobile transactions, including payment processing, advertising, gaming, and other online transactions. It takes a commission fee when sales are placed and sold through the e-commerce network. The licensing segment recognises sales of franchise and marketing rights of the Company’s services. The payment segment provides a payment platform enabling both online and mobile payment processing solutions. In addition, it provides processing, hosting, and related services; and advertising, and business and management consultancy services. For FY16, revenue breakdown is as such: E-commerce including mobile (50.9%), franchise sales (26.6%), network (21.6%), others (0.9%). How does this all come together? YuuZoo first builds an e-commerce website [network development segment] that entices you to join by incorporating elements of social networking and gamification. After understanding your interests, YuuZoo then shows you related goods and services which you can purchase directly through their website [e- commerce segment], and use YuuZoo’s payment processing to make payment [payment segment]. Instead of operating these e-commerce websites, YuuZoo licenses its websites to franchisees [franchising segment]. All YuuZoo does is support them with the technological infrastructure needed to run the sites. YuuZoo will collect some franchising fees. “WARCRAFT III – The Frozen Throne. YuuGames reportedly secured an extension on its management agreement with Alisports in October 2016. Following the extension, YuuGames will manage Alisports eSports Arenas throughout China until February 2021. YuuZoo is also a minority shareholder of RS Media and Entertainment Group (RSMEG), a premier facilitator for Chinese firm and television co-production. In Nigeria, YuuZoo launched an e-commerce platform, SME Arena, a joint venture with Etisalat. YuuZoo also acquired a full gaming license, allowing YuuZoo to offer lotto gaming.. YuuZoo’s joint venture with Nigerian Television Authority (NTA), the largest TV Network in Africa, launched a new football show aimed at promoting YuuZoo’s English Premier League football games and virtual clubhouses. In India, YuuZoo launched an e-commerce platform YuuVillage in partnership with iComp Digital Media. Through YuuVillage, local farmers will be able to bypass middlemen and sell directly to end consumers. The platform will anchor on two core aspects: (1) social, linking farmers, consumers, insurance companies, banks and investors to each other and enabling smooth, direct and instant communication with each other and (2) commerce, whereby consumers can purchase goods directly from the farmers through individual purchases or via subscriptions offering discounts to consumers and a stable order stock to farmers. Within 3 years, YuuZoo has engaged 3 different auditors to audit its financial statements. For FY15, auditor Moore Stephens raised concerns about the way Yuuzoo valued its franchisees’ shares, which the company receives as franchise fees, and S$17 million of receivables that were to be settled with equity. Moore Stephens withhold its audit opinion on FY15 results, and declined to continue as Yuuzoo’s auditor after that. For FY16, Yuuzoo’s initial reported net profit of S$34.6m was disputed by auditor RT and Yuuzoo had to delay AGM and annual report publishing due to “intense interaction” with auditor. The company eventually revised its net profit down 50% to S$14m. The audited 2016 results also show an increase in amortisation of intangible assets, to S$16.8 million from S$6.4 million; and an increase in other expenses, to S$15.9 million from S$4.1 million, from previously reported numbers. YuuZoo restated its FY 15 numbers due to a write-off of S$16.8 million of trade receivables that reduced its 2015 net profit to S$15.9 million from the previously reported S$32.7 million. YuuZoo also restated its FY16 numbers to fully impair China’s RS Media and Entertainment Group Holding, which had been valued at S$4.7 million, in the absence of verifiable information that the investment could be recovered. It also took a S$7.5 million impairment loss on its investment in and receivables from gaming company Infocomm Asia Holdings, and fully impaired S$2.3 on intangible assets held in relation to Etisalat. This basically implies that half their expansion plans over the past year have been listed as impaired. There was no allowance for impairment of revenue or investments made previously in FY15 report. YuuZoo’s operating cash flows have been consistently negative, diverging significantly from its reported gross income and net income numbers. Strangely, this is not due to increasing receivables, but rather the non-cash revenue generated. Given their accounting controversies, the cash flow statement seems a more reliable indicator. 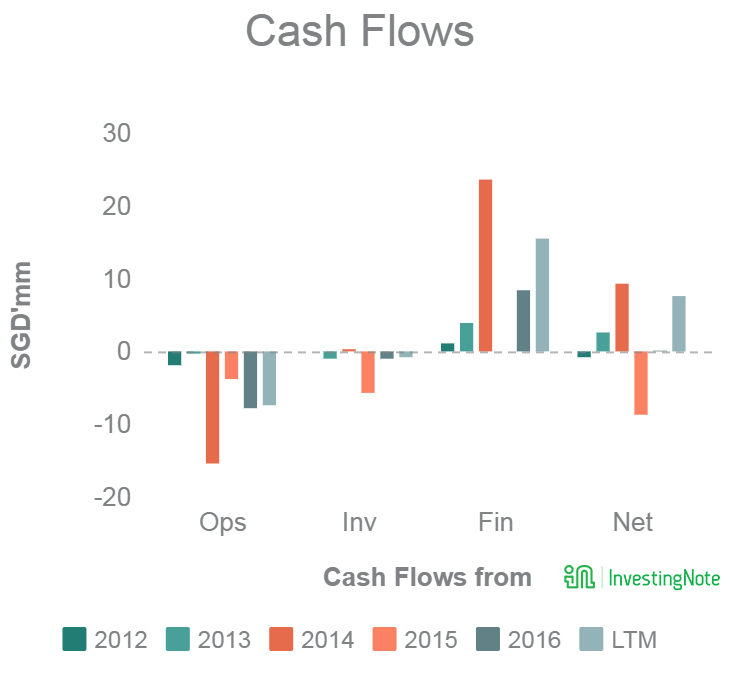 Taking the cash flow statement as the indicator, this signifies a lack of cost discipline for its online e-commerce business model. Moreover, it has been forced to dilute shares repeatedly to raise capital to fund its operations, causing share prices to drop from Contel’s IPO price by -99.50%. An investor who held Contel shares since 2005 would see his investment almost completely wiped out. Original post is found here, where you can engage in discussion with other investors. Upcoming SAKAE AGM: 27 June. IS SAKAE HOLDINGS LTD(5DO.SI) SUSHI STILL FRESH?